If you want a calling bundle with some extra benefits and that too on low rates then Jazz has introduced Har din bundle for you. You will get calling minutes with data Mbs at just Rs 21.15 plus all taxes. Call setup charges will apply. 500 minutes for unlimited calls from Jazz to Jazz. 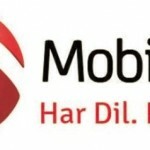 50 Mbs of mobile data (only for 2G customers) to access the web for free. To subscribe the offer, you have to dial *114*4# from your Jazz connection. Wait until you receive confirmation message regarding subscription. *114*4*3# is the info string and the status code is *114*4*2#. How can you un-subscribe the offer?? Har din bundle is best in terms of charges and incentives but if you want to unsubscribe in any case then dial *114*4*4#. The company will send you confirmation message on successful un-subscription. Only prepaid subscribers of Jazz will be available to avail the offer. The offer is available on all packages. The incentives of the offer will remain effective for 24 hours of the day. Only Jazz to Jazz calls is entertained in the Har din bundle. You cannot make calls to Warid, PTCL, and off-net numbers. Rs 0.15 plus tax will apply on initiating each new call. Provided Mbs are only be available for 2G customers of Jazz. Over usage of Mbs will be charged at Rs 1 per Mb. On all usages including recharge and bill withholding tax of 12.5% will apply. Service charges, operational fees, and FED taxes will apply to all services according to our region. In FATA, AJK, Gilgit Baltistan, and federal territory 21.4% higher price will be charged. Jazz has the rights to change the resources and rates of the bundle anytime. All terms and conditions will apply as per company rules. Jazz has offered the bundle for a limited time. 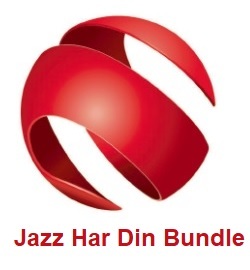 Jazz Har din bundle allow its subscribers to have not only calling minutes but also give the benefit of free data Mbs at the most affordable price. As it is a limited time offer, so don’t hold on and get a subscription to Hardin bundle.